Last month a Beech Queen Air experienced a low-altitude failure of the left engine shortly after takeoff. The aircraft crashed into a densely populated area of Parañaque City in the Philippines and resulted in 14 fatalities. The Queen Air was a precursor to the King Air 90 — essentially a large cabin-class twin with supercharged reciprocating engines. I’ve logged more than 2,000 hours of flight time in a military derivative of the King Air known as the U-21A, so the accident certainly piqued my interest. 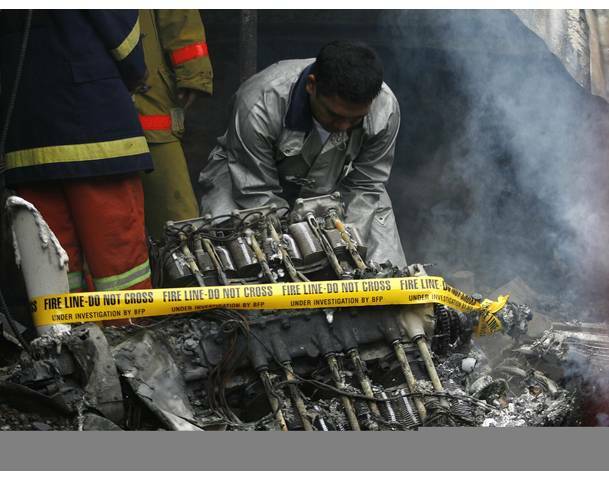 During my years flying that aircraft, quite a bit of time was spent talking, thinking, training, and otherwise preparing for just the kind of scenario encountered by the pilots in this accident: a sudden engine failure while low on altitude and airspeed. Even with our PT-6A-20 turbine powerplants, it was never going to be a cakewalk if it happened in real life. Thankfully it never did. But such a failure was one of the few things that absolutely had to be handled correctly and expeditiously if you wanted a fighting chance at keeping your aircraft aloft. That’s why we spent so much time training for it. 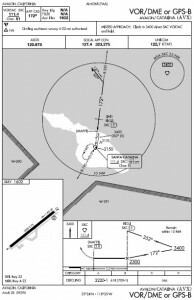 I recall more than a few dicey single-engine, partial-panel approaches to the Catalina Island Airport (KAVX) during recurrent training in simulated instrument conditions. Even with minimum drag and max power from the remaining engine, starting the exercise from a relatively low-energy state (though still well above Vmc) left the U-21A with little climb capability. Add in the notorious downdrafts flowing off the cliff at the end of Catalina’s runway and the fact that the missed approach at Catalina takes you to a VOR which sits on a mountain 488 feet above airport elevation but only 1.8 nm from the field, and you can see the magnitude of the challenge. At the time I was flying for that company, all training missions were done in the actual aircraft — no simulators. As such, we’d only perform low speed engine failures with plenty of altitude. Vmc rollover scenarios were approached, but for safety reasons never allowed to fully develop. Vmc is the “minimum controllable airspeed with the critical engine inoperative”. When an engine suddenly quits, it starts creating drag instead of thrust. The “good” engine, however, is still producing thrust, causing airplane to yaw (and roll) toward the dead engine. Pilots counteract this using the rudder. It works great — but the rudder only moves so far. The slower you fly, the less airflow the rudder gets and therefore the less effective it is at fighting the yaw. Once you’ve reached the rudder’s mechanical stop, you’ve also reached the limit of your ability to fight the yaw and the airplane will roll over. The only way to maintain control at that point is to reduce or eliminate power from the good engine in order to restore control. I have often wondered exactly what it would look like if things went badly. Sure, the plane would yaw and roll toward the dead engine, just as it does during the Vmc demonstration that every pilot must perform on their multi-engine checkride. But how quickly? Would idle thrust from the good engine allow recovery in time? Or would it break off into a spin? And if so, would that spin be recoverable given the fuel in the outboard tanks, the weight of the engines hanging out on the wing, and the size of the control surfaces? These are questions that not even the manufacturer of the aircraft can answer. They don’t test a failure to maintain Vmc to it’s ultimate, stabilized condition. Nor do they typically perform full spin testing regimes on planes of that size and type. It’s a big question mark, much like the “loss of all engines” scenario in a transport jet aircraft. No data is required from the manufacturer about best glide speed, engine-out range, etc., so none is provided to the pilot. 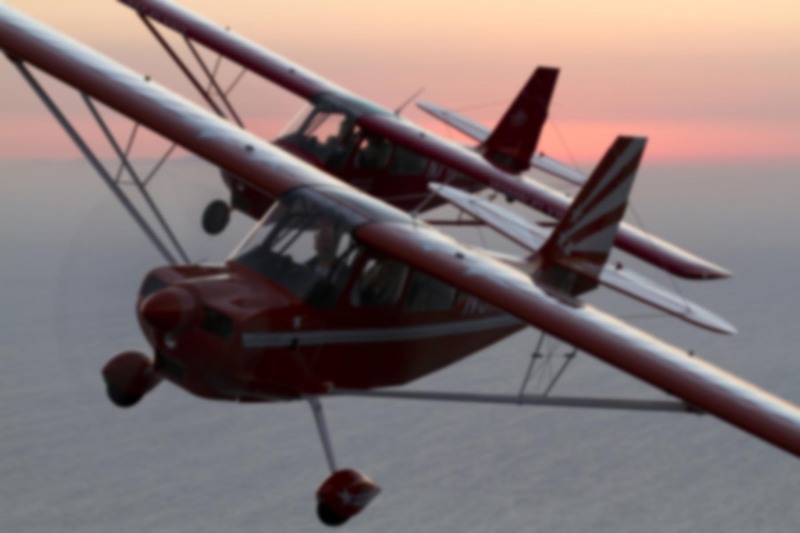 The official line from the FAA is that if you follow procedure correctly it cannot happen, even though it has happened dozens of times in the past and will again in the future. Actually, I can think of one exception to the lack of spin testing in multi-engine aircraft: the Beech B55 Baron. Raytheon spin tested it in 1998 using a Vmc rollover entry and concluded that the airplane was probably not recoverable. In fact, among the nearly 100 spins they performed in the Baron, the only two which were unrecoverable without the use of a spin chute were the aggravated spins entered via the Vmc rollover method. The spin tests performed to date included various flight configurations of the aircraft (e.g. power on, power off, asymmetric power right and left, gear up, gear down, flaps up and flaps down). In all but two of the spin maneuvers, the aircraft responded to the spin recovery technique described in the Baron flight manual — that is, immediately move the control column full forward, apply full rudder opposite the direction of spin, and reduce power on both engines to idle. In two of the test spin maneuvers, deployment of a spin chute by the test pilot was necessary to effect recovery at a predetermined safe altitude. Both of these spins were performed with power to the left engine at idle, propeller windmilling, maximum continuous power on the right engine throughout the stall, the spin entry and one 360 degree turn. The important fact demonstrated by these two spin tests is that any time asymmetric power is allowed to continue through spin entry and into a developed spin, a dangerous and possibly unrecoverable spin could be encountered. Raytheon believes this is true any time asymmetric power is allowed to continue into a developed spin to the right or to the left. As far as the Vmc situation is concerned, at least some data is available on the Queen Air because the Parañaque accident was caught on tape. I’ve watched this thing a dozen times, and it’s difficult to judge the aircraft’s airspeed or altitude except to say that both were fairly low, as one would expect shortly after takeoff. In other words, the energy state was low and there wasn’t much altitude to play with, so when that engine failed, the Vmc rollover began quickly and wasn’t going to allow the pilot much time to respond. You can hear the sound of the Lycoming IGSO-540 engine backfiring before the camera even finds the aircraft. The backfiring was probably the reason the photographer was searching for the Queen Air in the first place. Then airplane begins to yaw and roll toward the dead (left) engine. Within a few seconds the airplane reaches about 50 degrees of bank and breaks into a left-hand spin. I count about two seconds between the start of the spin and ground impact. It’s that fast. How’s that for a wild ride? Hopefully it will remain on YouTube as a reminder for every multi-engine pilot: Vmc is not to be trifled with. That’s how Jeff Ethel died in P-38, too. That’s right — I’d forgotten about Jeff’s accident. I was up at Tillamook a few years ago and went right by the spot where his Lightning went down. Wow. Dramatic, to say the least. I’ve watched the video several times and it looks like the pilot made a close base leg and then skidded the turn to final. Bad idea even in the best of times, and especially dangerous when operating on a single engine.